One of Britains leading one-liner comics returns to the road with another onslaught of lean, expertly crafted gaggery. 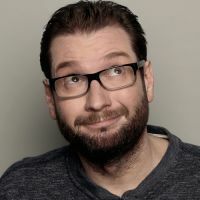 A Mock The Week regular and recent star of the new Live At The Apollo series, Garys shows are renowned in the business for a near unrivalled volume of high-class gags. You should expect no different from this, his brand new tour for 2018. Please note Coolio will not be appearing.